I am Abelang Mosweu. Husband and father of two. I am a medical doctor in Anaesthesia. Balancing work and exercise isn't too difficult. I tend to train in the wee hours of the day before my family wakes up. Must admit it takes up study time, but also ensures efficiency in work. Night shifts force me to shorten my sessions or take a break. 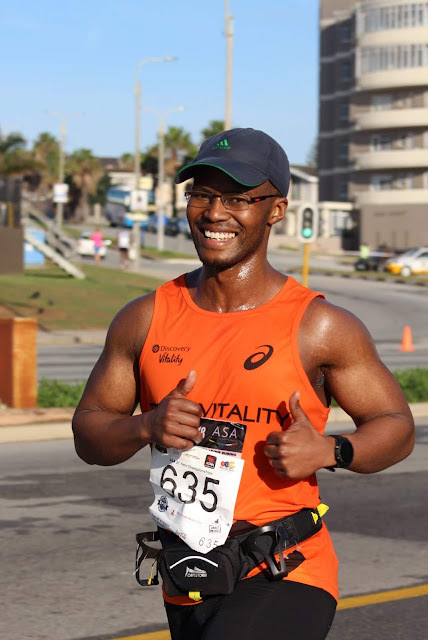 I started running in my final year of med school and did my first half marathon at the 2010 OMTOM, but then I stopped and only resumed in early 2017 as my cardio routine to get stage ready for a bodybuilding show in March. Watching my uncles and aunt in the 2017 Comrades and making a pact to run the Soweto half that year with my best friend got me back into running full time in September last year. I always have to have an upcoming race I've entered. That way I know I have to get workouts in. Still having difficulty heading to the gym for strength training though. I foolishy attempted the 2017 Om Die Dam ultra, which is a 50km race. Made across the line just before the cut-off. God. 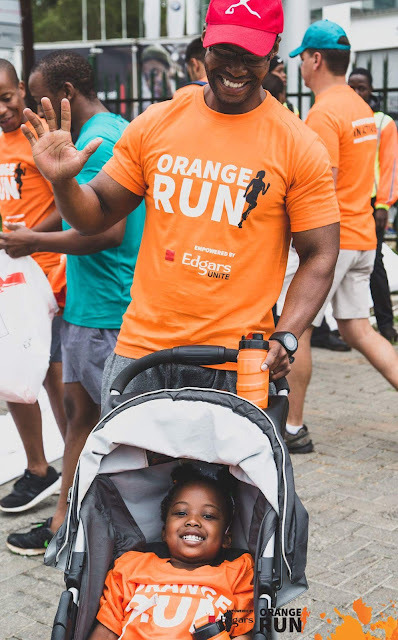 I started running in the streets of Johannesburg at 4am, sometimes earlier. Anyone who knows Joburg knows that isn't so smart. Knowing I could count on God's protection got me through. Also meant I didn't need to have any swag coz no one is up at that time. It is a shame. We weren't made to be sedentary. It leads to a lot of diseases that are plaguing us now in the medical field. It also means you aren't very fit for anaesthesia and surgery if you don't exercise, so your outcome isn't as good as it could be. A recent trail run I did, the Hayterdale Classic Trail in Addo in the Eastern Cape. Running in nature is awesome. Problem is that I still lack proper trail gear. Cramping up in the 22nd kilometre of the Wally Hayward marathon. Actually, cramping anytime I run. Walk and pray for strength. That was my strategy at Om Die Dam and my most recent marathon, the Friendly City marathon. I also picture showing my daughter the medal at the end. I can't let her down and come empty handed. If they have enough finances, they should visit a sports podiatrist or a good shoe shop like The Sweat Shop in Dunkeld to get themselves into a good pair of shoes and correct stride etc. That will prevent most injuries in the long run. Otherwise I would say start slow. Short strides, walk-run method and heart rate based training if they have a HR monitor. I'm on Instagram as @doc_ab_mosweu . On Facebook and twitter too but those are not as active.